4th and 5th grade activities for personification. 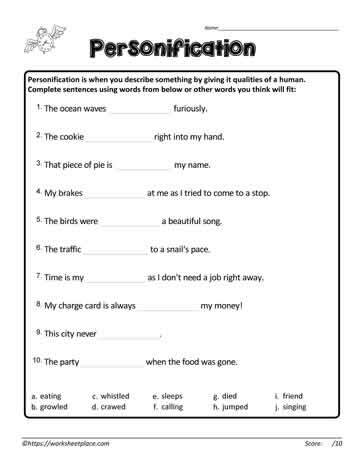 Look at the sentences and complete the blank spaces using personification. Grade 4 and 5 personification printables.